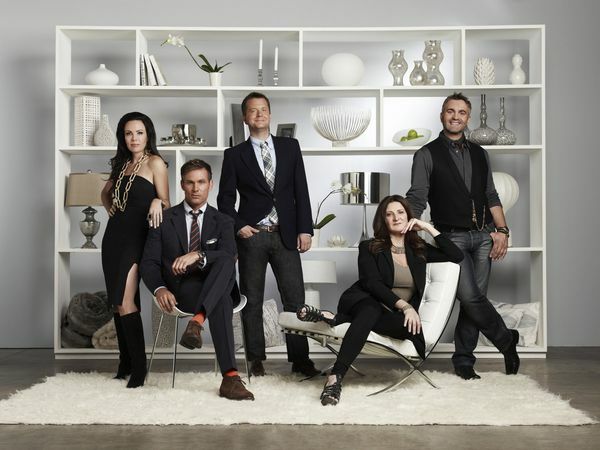 Are you watching Million Dollar Decorators? I really tried to resist! Why? Because I honestly try to not watch new shows so I don't offend my regular shows. Kidding. I feel like if I start watching something I will want to watch every episode and become addicted. And since I do not have that trusty new dvr invention I have to schedule in any must see tv...like project runway and Sarah's any house. So I have not been watching but have found myself intrigued by it too much to resist. Luckily for me Bravo airs their shows over and over again so I was able to catch up last week. And I am eagerly awaiting tomorrow's episode. All the designers are fabulous but I love Mary McDonald the most. I don't care what anyone says I love her! They are all great though. Are you watching? I think you should! I also love this show...and those curtains mary put in the office- amazing!